While most visitors associate Orlando with theme parks, the downtown area presents a much different side to the city. From high-rise urban condos to historic areas with tree-lined brick streets, the area has a nice combination of charm and sophistication. 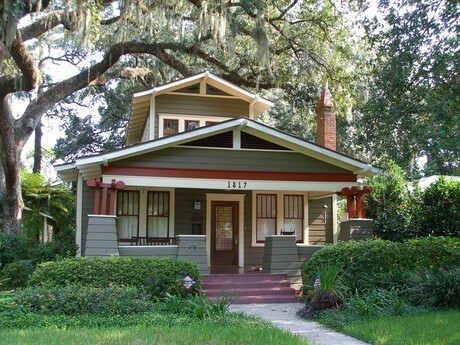 College Park, downtown Orlando's largest neighborhood features its own downtown business district and offers a unique combination of big city convenience and small town charm. The stylish Thornton Park district offers a number of trendy restaurants with a combination of high-rise condos and historic bungalows. Eola Heights is the area around Lake Eola Park, Orlando's signature park which features the iconic landmark fountain that has long been a symbol of downtown Orlando. 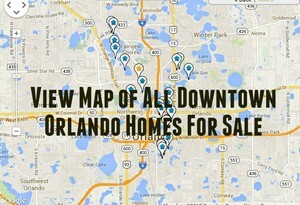 Click on the blue button to view all downtown Orlando homes for sale.